HEADING OUT – Riders head out to the network of trail in the annual King of the Canyon event. Ian Parker was crowned king. 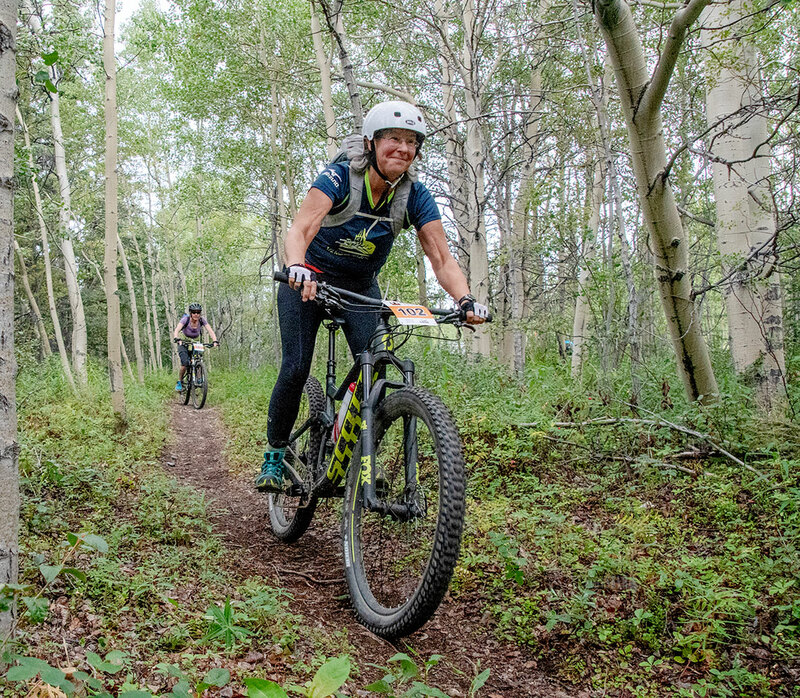 EASY DOES IT – Andrea Morgan navigates her way through the trails in the annual King of the Canyon event. Ian Parker is King of the Canyon. 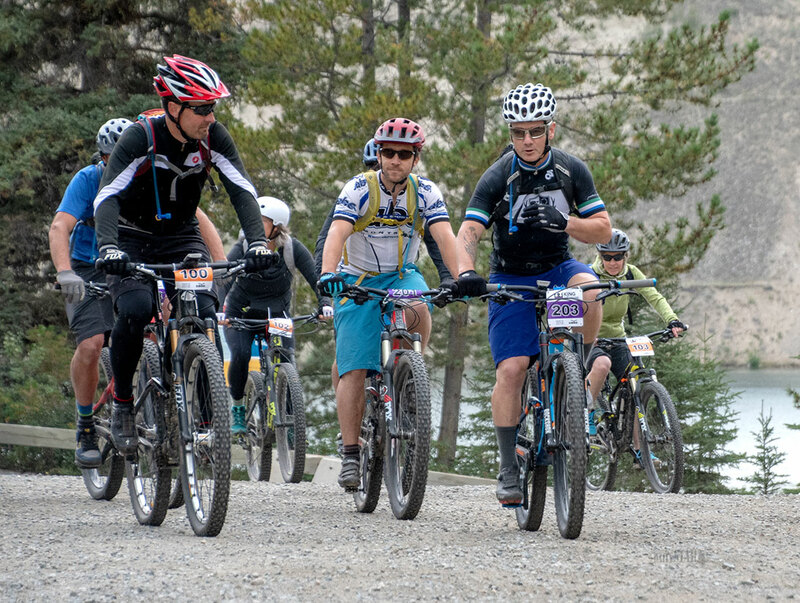 Parker won the King of the Canyon race hosted Saturday by the Contagious Mountain Bike Club. 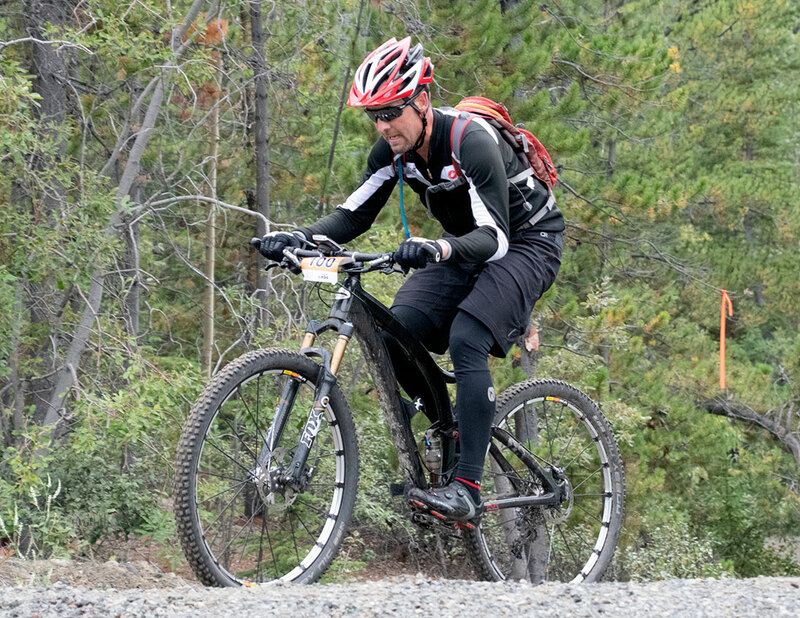 He covered the 50 kilometres through the trail network east of Schwatka Lake and around Grey Mountain in a time of two hours, 53 minutes and 25 seconds. Chris Jastrebsi was second, just over 10 minutes behind Parker in time of 3:03:45. Francois Clark was fourth in 3:15:55 and Tony Painter was fifth in 3:24:55 and Simon Geffroy-Ganyon was sixth in 3:39:55. Parker, with his first crown in the annual event, will have to share the throne alone as there were no women entered in the 50-kilometre event. But Denise McCann and Andrea Morgan did ride together in the women’s 25-kilometre, finishing in a time of 3:18:19 and 3:18:20. They share the crown for Princess of the Canyon. Craig Machtan was named Prince of the Canyon after finishing first in the men’s 25-kilometre event in a time of 1:40:05. The only other contestant for prince was Perry Hynes who finished just under eight minutes behind Machtan, in a time of 1:47:53.